Jeff checked out the Pipeline at last year’s Sea Otter when the bike was brand new. However, as he mentioned in his review, the trails at the Laguna Seca Raceway are pretty tame. 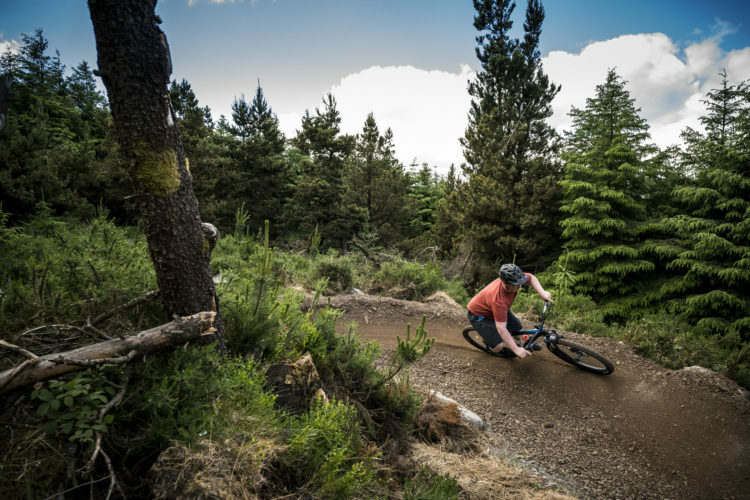 It’s a great place to try out an XC bike, but anything more than 120mm is beyond overkill. 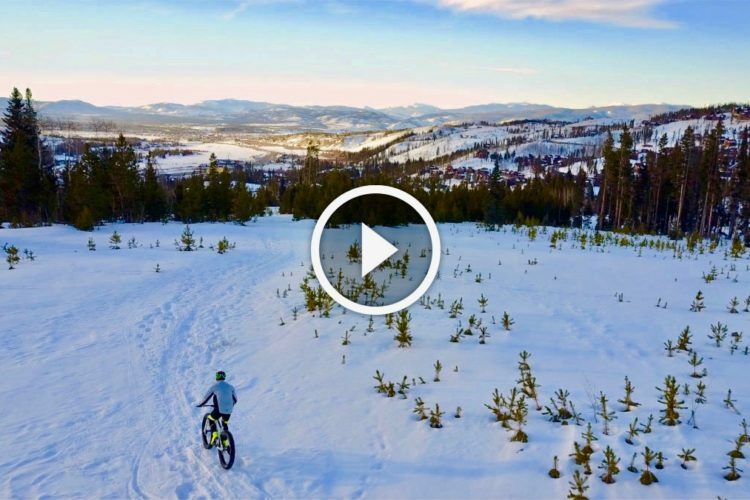 Because of this, and for my continuing quest to try a bunch of plus bikes, I hopped on the Rocky Mountain for my first ride at Outerbike. 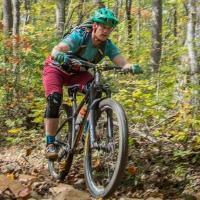 Rocky bills the Pipeline as an “aggressive trail” bike. 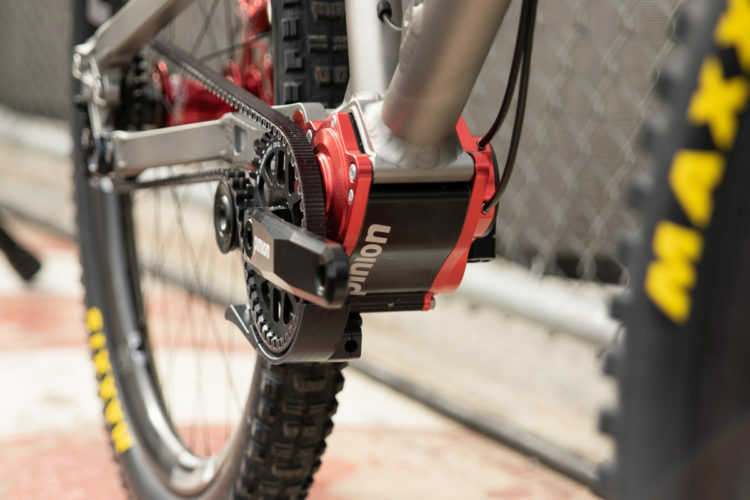 With 150mm/130mm (front/rear) of travel and clearance for up to 27.5×3.25″ tires, it certainly seems plausible. 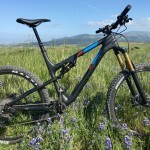 I rode the top spec 770 MSL which shares the same front carbon fiber triangle with Rocky’s 29er trail bike, the Instinct. The rear end is aluminum, and welded up specifically for the Pipeline. In doing so, Rocky lopped 9mm off the chainstay length compared to the Instinct. Because of this, I was told the Pipeline is a dedicated plus bike – no swapping in a set of 29er wheels. 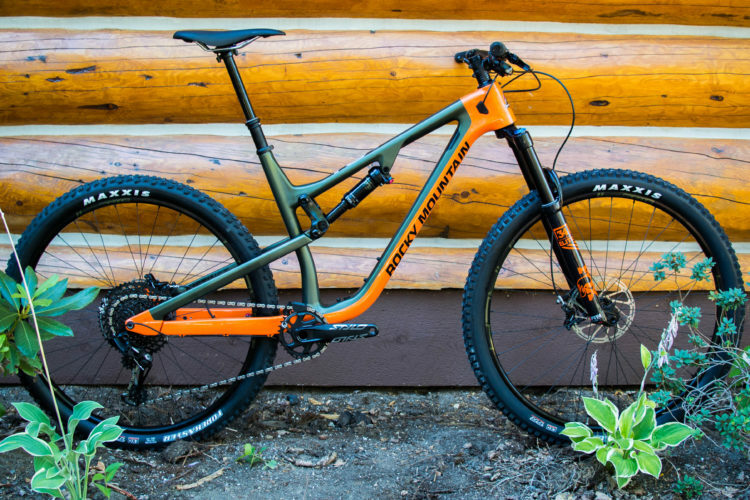 Like many of Rocky Mountain’s bikes, the Pipeline features their unique Ride-9 System. 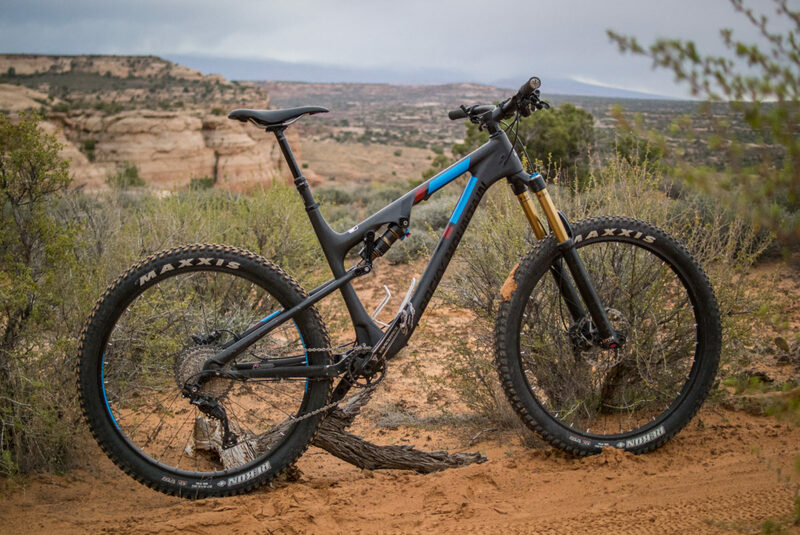 Where some manufacturers are content to give you a couple different geometry settings, Rocky lets you choose between nine different settings. Moving the chips around gives a range of geo stats, and the one I rode was in the lowest, slackest setting, which resulted in a head tube angle around 67 degrees. Retail for the Pipeline 770 MSL is $4,799 with the slightly down spec 750 MSL coming in at $3,999. 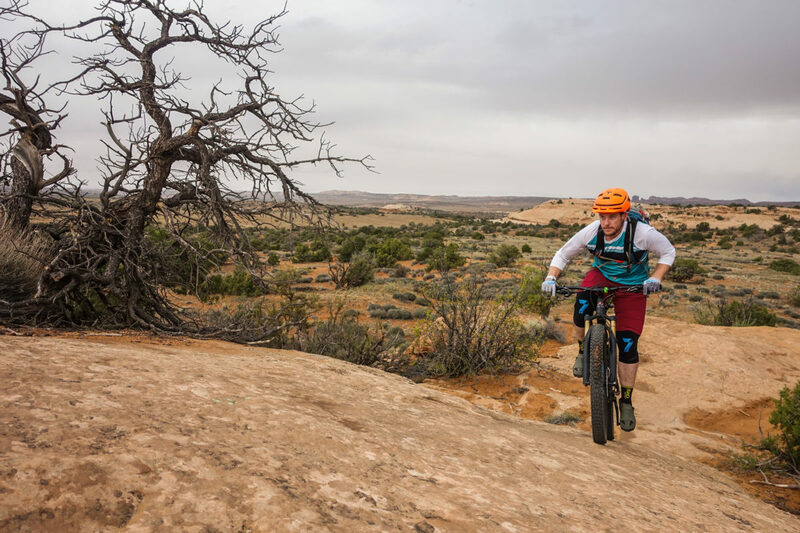 During Outerbike, attendees can choose to ride the Bar M trails at the venue or hop on a shuttle to check out some of Moab’s other trail systems. On Friday, they were running us up to the Navajo Rocks trail system a few miles up the canyon from the venue. It’s been a few years since I visited Moab, so Navajo Rocks was entirely new to me. 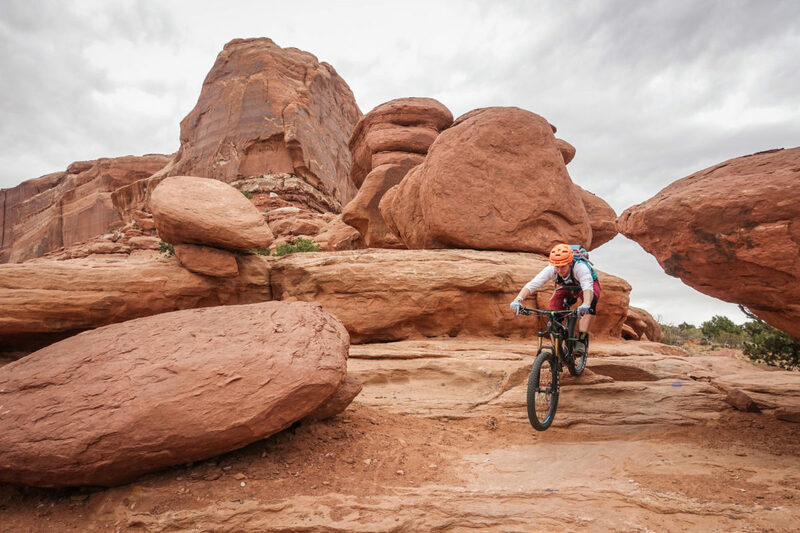 Even Greg who visits Moab regularly found they had added even more trails there since his last visit. Our ride started with a mellow climb up Middle Earth to Coney Island. With rain overnight, the conditions were primo. 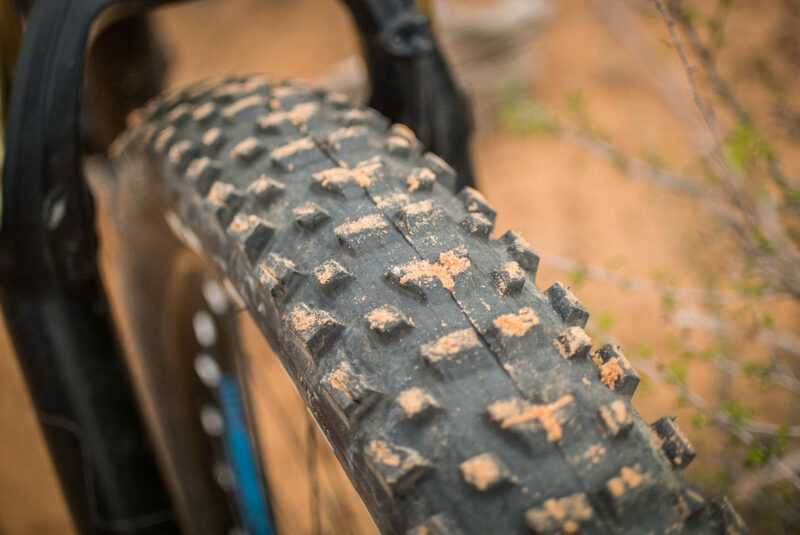 The sand was firm, with just enough give to let the knobs on the Maxxis Rekon tires dig in nicely. However, even with the easy grade, I was having a hard time keeping the front end tracking straight. I noticed that the stem had a bunch of spacers underneath it, along with a positive rise, and riser bars. After moving some spacers around, I started clicking with the Pipeline. 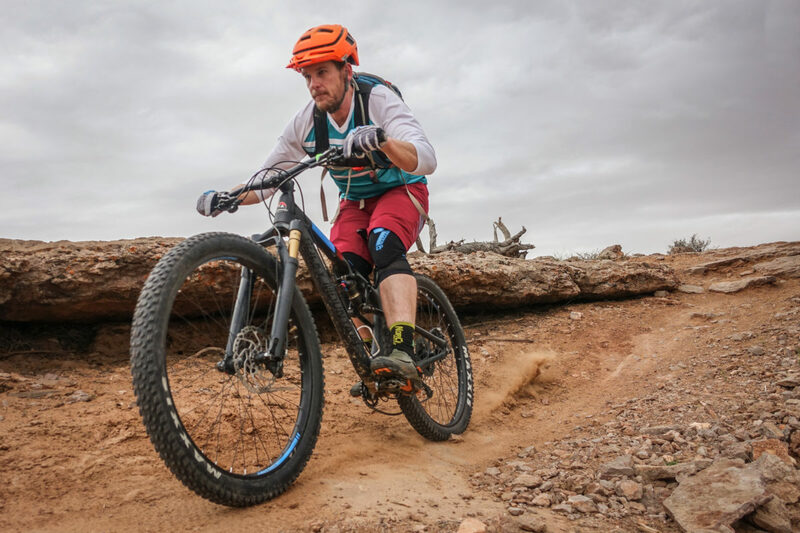 With the top-notch Fox Float Factory shock in the open position, the Smoothlink suspension platform was incredibly supple. That, combined with the bigger tires, gave the Pipeline a dreamy ride quality. It seamlessly transitioned from packed sand, to loose sand, to slickrock without skipping a beat. 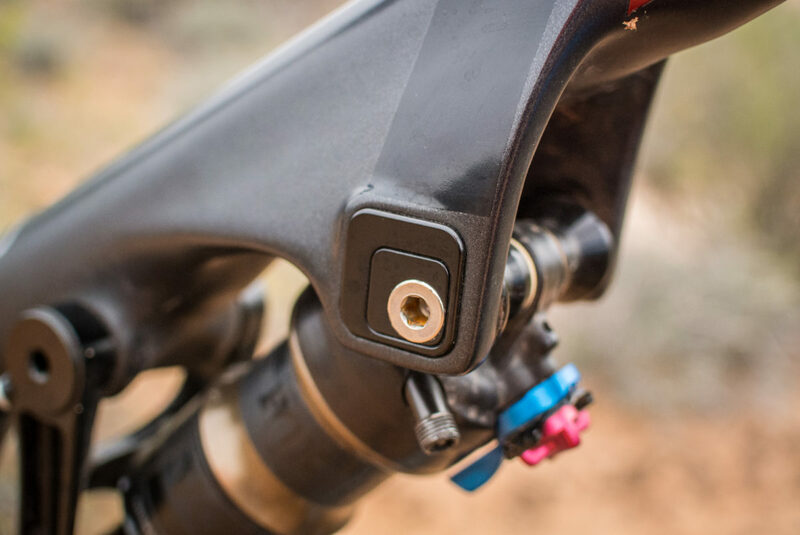 Flipping the compression switch into the middle setting provided a much sportier, snappier feel while pedaling, without giving up too much in traction. 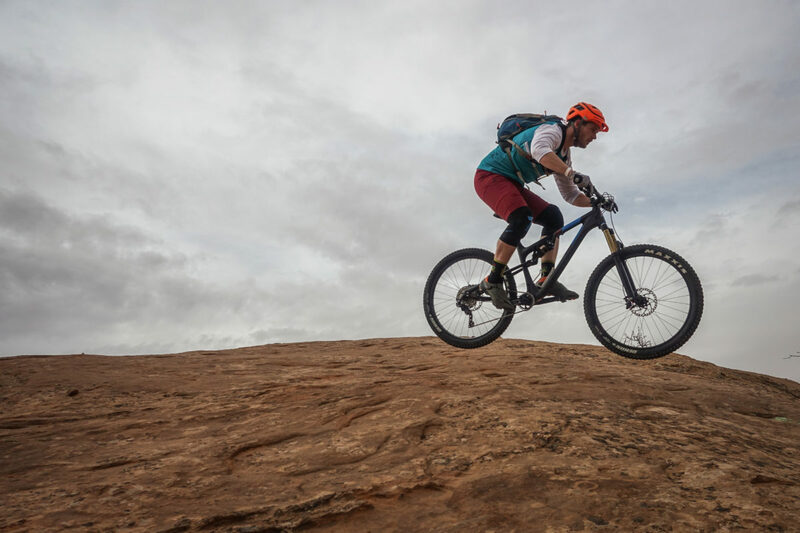 After we topped out on Coney Island, we hit Big Lonely, a pedally, flowy trail punctuated with little bits of slickrock for variety. Leaving the shock in the middle setting here allowed me to stay on the gas and try to hang on Greg’s wheel. From Big Lonely, we hit Big Mesa which was almost exclusively rock. Here, I put the shock back in the open position, and the Pipeline soaked up every little bump and lump in my path. Greg and I played around briefly on a huge rock dome, and the Pipeline was eager to get airborne, confident with its wheels up. 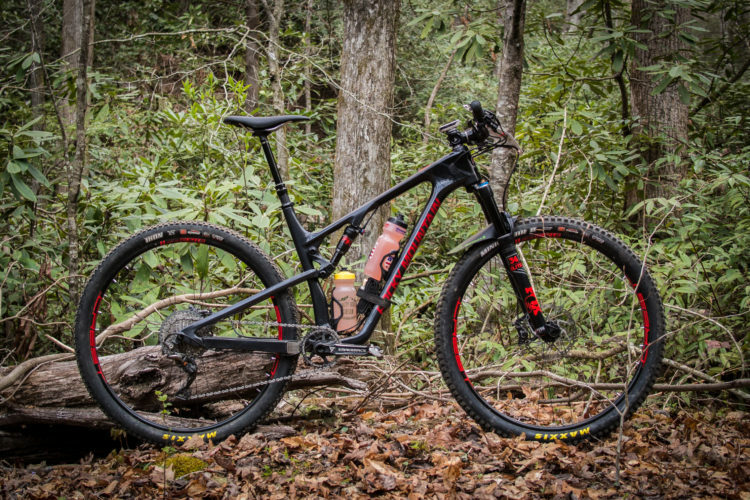 The 29lb weight is what trail bikes of all stripes weigh these days, and the Pipeline wore it well. It sports some basic hubs and hoops, but the wheelset didn’t feel sluggish. Granted, I didn’t do any steep or extended climbs. If you’ve read any of my other reviews, you know that plus bikes aren’t my favorite. Or at least, I thought they weren’t. 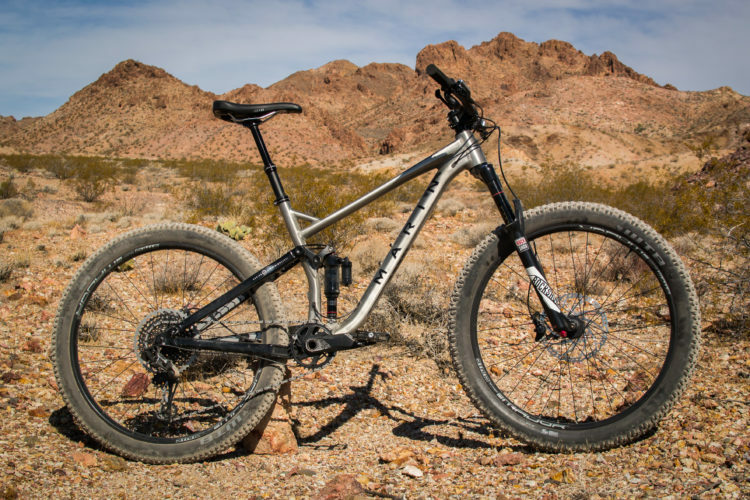 The first truly impressive – and fun – plus bike I rode was the Ibis Mojo 3. And now, the Pipeline makes the (very) shortlist as a plus bike I could actually envision as my daily driver. 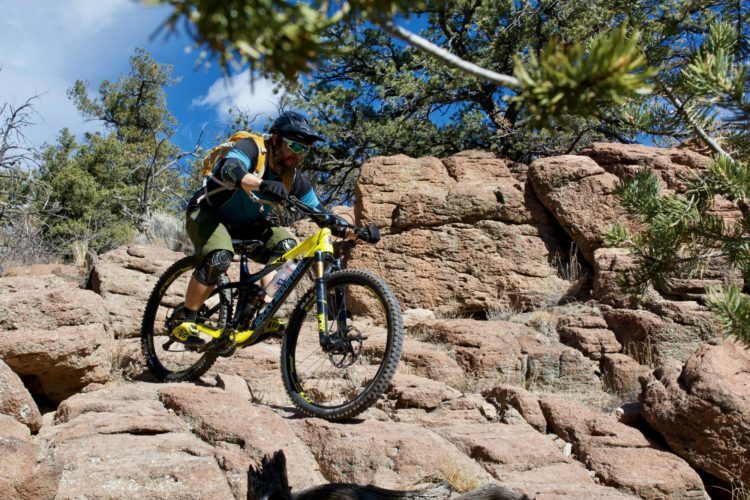 The Rocky Mountain Pipeline is a great trail bike that just also happens to have clearance for chubby tires. Looks/sounds like my kinda’ bike. 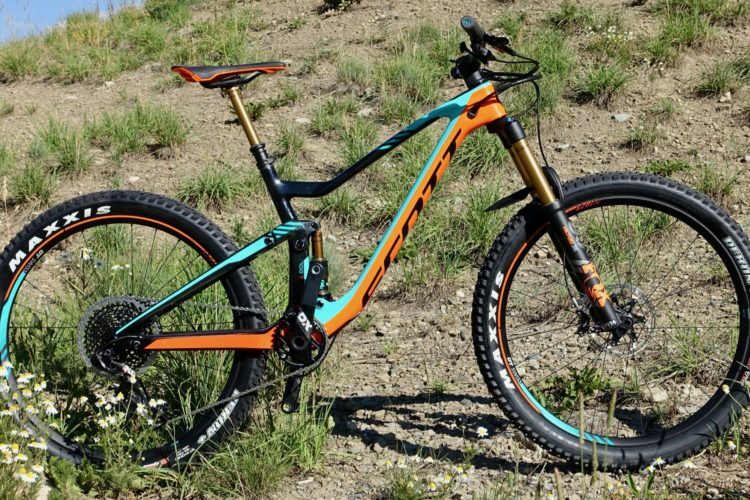 I’ll be looking for a Rocky Mountain demo day in my area so I can throw a leg over one of these.